Baby still the same position though im getting fit climbing those stairs! Doing squats n ball too – im not too hung up on what happens as long as i know ive tried my best. They’ll let me go over in the hope something will happen. On the bright side ive no housework n im getting lovely meals handed to me. I’ve a new birth story for you! my waters broke on sat afternoon n baby moved into correct position. I was induced Sunday at 2pm n baby was born at 6pm. V fast birth – was actually getting epidural when urge to push came. I had gone from 2 to 10 cm in 30 mins! Baby Thomas was born a healthy 7lb 6oz. I used the YogaMammas Labour Blend after showers when i was in hospital trying to get baby to reposition. Id say it helped my waters go which meant i avoided c section. I couldn’t really use in actual labour as i was hooked up to monitor with drip induction. Things proceeded so fast all i could focus on was my breathing – used the gas n air. Couldn’t spare a thought for anything else. Nearly broke his fingers…haha.. I had a bit of a fright after when my placenta wouldn’t deliver n my body went into shock from blood loss. However great team in the Coombe stabilised me without needing to go to theatre. Got great care but glad to get home n get the breastfeeding established. Breastfeeding tough especially the cluster feeding on night 2 – had forgotten that bit. But its coming back to me – its so rewarding looking at his satisfied little face. 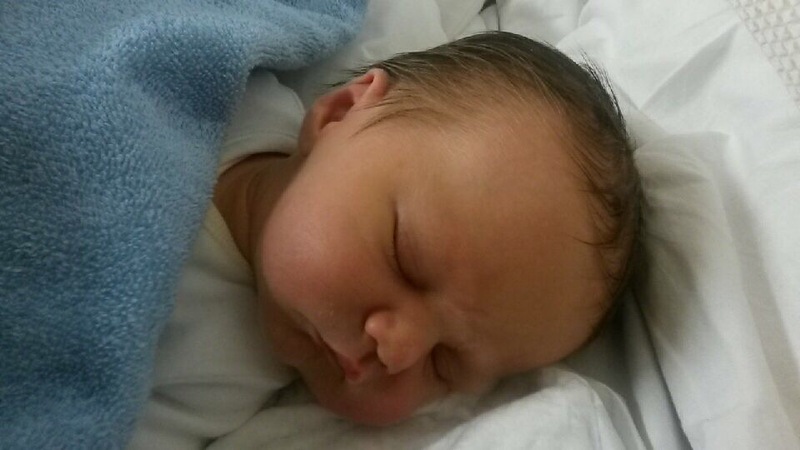 Posted in birth, birth story, pregnancy, Prenatal yoga class, yoga dublin and tagged baby, baby yoga, labour, pregnancy yoga dublin, pregnancy yoga tallaght, tallaght, yoga mammas.